From the moment I met M, I could see a vibrant, active, motivated man. His personality came across in the way he walked, his posture, and how he confidently and gently carried himself. It is my goal in our sessions to capture these moments and witness this person. I am a dance/movement therapist. One might assume that I am the one doing the moving and teaching how to move. But I am merely the mirror that reflects the movements I see in the person I am with. I am being moved physically, spiritually, emotionally. I am moved by M.
I greet M in his living room and quickly set up my wireless Bluetooth speaker and begin playing Michael Buble. He smiles and I can tell he recognizes the song by how his feet quickly find the rhythm and his hands keep the beat. I join him in his movement and we immediately make eye contact, smiling and laughing. No words have been uttered, only body language to express how we feel in the moment. M reaches out to me and we begin dancing together, shifting weight, reacting to each others’ steps, and sharing the space. M indulges in the freedom to lead me across the living room floor. The ability to take charge allows M to feel independent and in control. Then he lets go of my hand and moves independently around the room. By now we have time traveled back to the 60’s and are on a Surfin’ Safari with the Beach Boys. When I see that there is a need to slow down, we sit or quietly stand and breathe together. I suggest relaxing poses that are meant to stimulate the mind body connection. M stretches and bends in ways that he connects to and that are familiar. 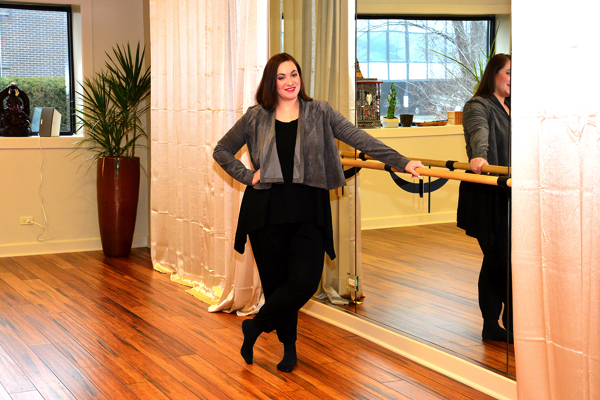 Erica Hornthal is a licensed professional clinical counselor and board certified dance/movement therapist. She received her MA in Dance/Movement Therapy and Counseling from Columbia College Chicago and her BS in psychology from the University of Illinois Champaign-Urbana. Erica is the founder and president of Chicago Dance Therapy, Inc., a psychotherapy practice founded in 2011. As a psycotherapist in private practice, Erica specializes in working with adults and older adults. She has worked with and presented on individuals affected by movment and cognitive disorders. 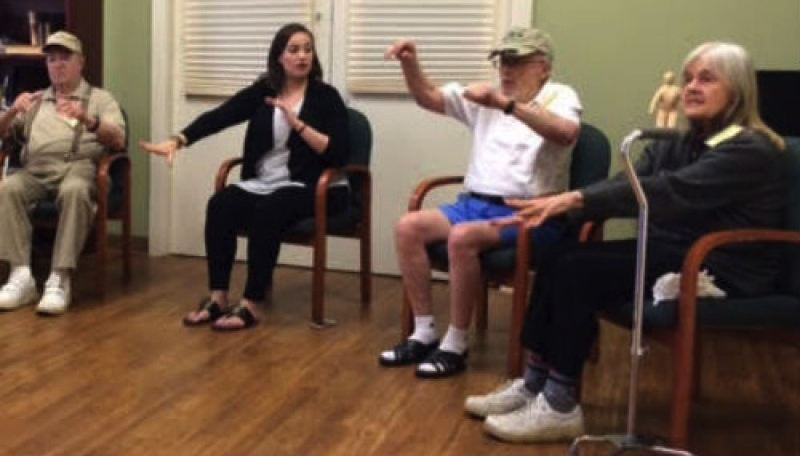 To learn more about Chicago Dance Therapy, visit the links below. We all have bad days. But what happens when you’re a caregiving warrior when one of these bad days hit? It could be a bad day for you or maybe even a bad day for your loved one, but either way, you don’t get to just banish yourself to your work cubicle and avoid people until 5:00 rolls around. 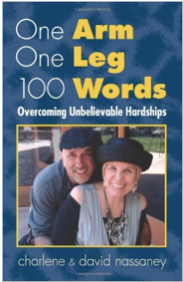 You have to keep being a caregiving warrior and keep on going with your day. Recently, I found myself in the midst of one of these days. I had just lost my very first Alzheimer’s patient, “Oma” a few days prior and was still very emotional. Despite my best efforts, I was very edgy, short tempered, and easily upset about the smallest things. On that particular morning, I found myself with my current Alzheimer’s patient, wrestling with her to change out of her nightgown and into clean clothes for the day, pleading with her to let me help her change her soaking wet brief, and trying to convince her that we could not go out into the front yard (she is prone to wandering and lives across the street from a lake- spending time outside anywhere but the fenced-in backyard is a big NO). I can normally get “Ann” in and out of the shower and into clean clothes with very little issue, but on this particular morning she was not having it. She kept drawing her arms in and locking them close to her body, grabbing at her nightgown with a vice grip and not letting go, and cursing at me. After about half an hour of this struggle to get her dressed, I had managed to get a clean dress on her but not a brief and she kept trying to unlock and open the front door to go outside. Normally I can distract her to get her mind off going outside, but again, this morning she was bound and determined, hitting me and shoving me as I blocked the door and cursing at me all the while. At one point, she started hitting me and screaming at me to try to get me to move away from the front door. This went on for about 2 minutes before I finally snapped. I started sobbing uncontrollably, stomped my foot hard on the floor to grab her attention, flung my hands up to my head to cover my ears, and yelled at the top of my lungs, “STOP! JUST STOP!” She stopped her onslaught to stare at me but I immediately felt guilty. I make it a point to never raise my voice or lose my temper when I’m with my Alzheimer’s patients, but I had just done exactly that. I immediately knew I needed to do something to make sure things went smoothly for the remainder of the day and to minimize any stress on Ann. I’ve acquired a few very helpful tips and tricks for dealing with these days in my years as an Alzheimer’s caregiver. Sometimes, only one applies to the situation at hand, but sometimes I end up using them all. No matter the situation, though, I know these tips can help you too. 1) Hit the reset button. 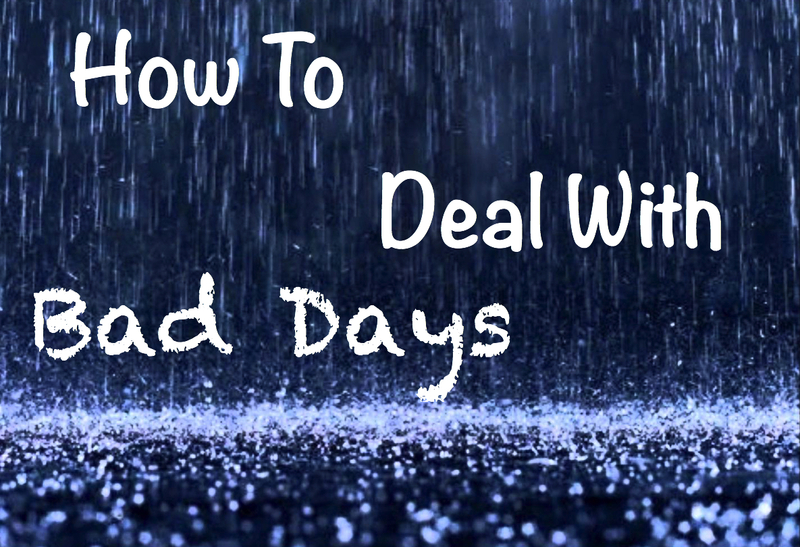 This is the most valuable tips I have learned when it comes to dealing with bad days. You know how sometimes your DVD player or computer or whatever will start acting up or freeze, and once you hit the reset button its fine? Well, we have one of those buttons too and let me tell you, it’s a wonderful thing. In the case of your Alzheimer’s patient, they may need to hit the reset button more than you or I do. With wheelchair or bed-bound patients, this is easy. If you notice them getting agitated or showing signs of sun downing, it’s time for a reset. Take them into a room and make it dark by closing the blinds or curtains and shutting the lights off. Turn off any TVs or radios and make it completely silent. I have also turned on a fan before just for some white noise to block out the commotion from the rest of the house. Once they are secure in bed or in a chair, simply leave the room and close the door. It sounds like some awful punishment, I know. I felt terribly guilty the first time I tried it after reading about it on the internet. But once I saw how effective it was and did more research on why it is so effective, those feelings of guilt went away and were replaced by feelings of relief and understanding. Something we have to remember with Alzheimer’s patients is that every little thing we do requires brain power and that while we are able to take it for granted, these little things wear our Alzheimer’s patients out. Interacting with large groups of people or listening to conversations around them, watching TV, listening to music, seeing people constantly going in and out of the house, eating a meal, showering, getting dressed, etc....all of these use up precious brain power for people with Alzheimer’s and tire them out very easily, especially when they are dealing with multiple things at once, and a lot of the time, instead of being able to tell us that they are tired and have had enough, they act out and misbehave instead, much like a small child would. So, in these situations, removing all outside stimuli like sights and sounds and replacing them with a dark, quiet room can give them a chance to essentially “reset” their brain. You may find that they end up dozing off into a nap after having the chance to reset, as is the case with Ann. I can immediately gauge when she is feeling overwhelmed and in those instances, I know it is best to lead her into her room to lie down on the bed with the blinds closed and light off, and in 99% of those times, she is asleep within a minute of her head hitting the pillow. She’ll wake up 30 minutes to an hour later and be completely fine, back to being her happy, chipper self. In Oma’s case, she wouldn’t sleep but just sit in the quiet. Usually, it only took 20 minutes for her to settle down and go back to being okay. When you hit the reset button on your Alzheimer’s patient, I strongly suggest you do the same for yourself. Don’t use the time to try to rush around the house to get things done. I know it’s tempting, but don’t. Instead, use the time to sit in a comfortable chair, turn off the TV or radio, close your eyes, and focus on trying to relax. I like to grab my iPod and headphones at this time and play some Marconi Union (If you haven’t heard of Marconi Union, look into it! They partnered with sound therapists to create music specifically for relaxation and it has been found that it can reduce anxiety by up to 65%). When your Alzheimer’s patient wakes up or is ready to resume their day, you’ll be ready too! 2) Keep your emotions in check. Even if you aren’t yelling outright or crying, your Alzheimer’s patient can sense whatever tension you’ve got bottled up due to sadness, anger, or anxiety and they will react accordingly. It’s so strange that they are unable to pick up on normal social cues and yet still react so strongly to the emotions of others. If they sense that you are angry about something, you will notice them start to get agitated or act aggressively. If you are sad, you will notice them crying at the drop of a hat or just acting more glum than usual. If you are stressed or have anxiety, they will be more paranoid and prone to worrying throughout the day. Just be sure to constantly check yourself and be sure you’re not projecting your emotions into your time with them. If they are acting out of the norm, do a quick reflection and make sure it’s not because of some emotion you’re putting out there for them to pick up on. It’s a quick and simple fix that can make a big difference on those bad days. 3) Go with the flow. Sometimes, on our worst of days, whether it’s ours or our Alzheimer’s patient’s, it’s best not to fight and to just go with whatever is happening. Don’t try to make any outings, don’t force your Alzheimer’s patient to change out of their pajamas if they’re putting up a big fight (but give it a try, or at least try to give them a quick clean-up), don’t try to force them to eat anything they don’t want to. Just GO WITH IT. Spend the day doing easy things with them, like listening to their favorite music or watching their favorite movies. Make it a pajama day with comforting soup and hot chocolate, coffee, or tea depending on what they like. 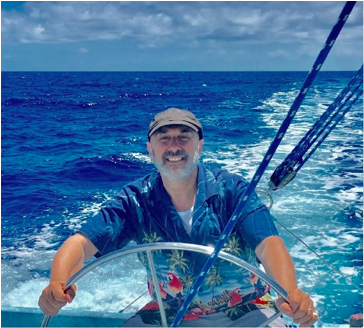 Sometimes you just need a break from the usual schedule when you and your Alzheimer’s patient are having a bad day and taking a day to just take it easy can be exactly what both of you need to recharge your batteries and go into the next day with a fresh outlook and positive attitude. Carry on, caregiving warriors- together we can make a difference! Many thoughts crowded my head. I should have insisted that the paramedics take her to the larger medical center instead of the smaller private hospital. I should have also been on the internet every second doing research about strokes. I should have learned about the clot-busting drug, tPA, and other things that could have saved her brain from damage. I should have been in the doctor’s face every time a decision was to be made. I should have been a doctor instead of a finance guy! Guilt should be treated like a disposable diaper. A diaper is designed for one purpose, and one purpose only, to catch the poop from a baby. The guilt in my analogy is the poop. There are two types of guilt, undeserved guilt and deserved guilt. When you feel guilty, the first thing you need to do is ask yourself, “Is there a legitimate reason that I should feel this guilt?” If the answer is yes, then correct the wrong. Apologize to the person, fix what you broke, call who you should have called, turn yourself into the police, whatever it is, fix it! Then take the diaper that the guilt is now in and dispose of it, never to see it again. If the answer to the above question is no, make sure you can be honest, fair and objective about your answer. If you are not sure, then ask the opinion of a well-respected mentor. If the answer is still no, then there is no wrong to correct. You are innocent. The guilt is undeserved. No apology is necessary. There is nothing to fix, nothing broken, no one to call. Okay, you get the picture. Then take the same diaper that the same guilt is now in, and dispose of it. You never have to see it again. In either case, the guilt (diaper) is gone. (That’s why they call it a disposable diaper, because once it is used, it is useless). Some people are very good at dispensing undeserved guilt to others, like mothers, for example. I can think of episodes of “Sanford & Son,” where Redd Foxx’s character, Fred Sanford would routinely hold his chest, look up into heaven, and say, “Elizabeth, I’m commin’ to join ya’ honey!” This comical skit worked every single time to get his son, Lamont, to do whatever Fred wanted him to do using undeserved guilt.